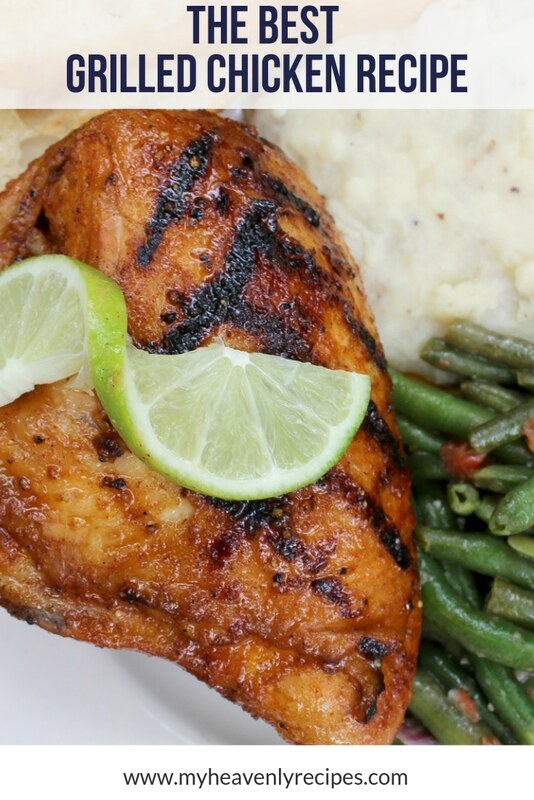 This is hands down the Best Grilled Chicken Breast recipe and it’s marinated in honey ya’ll! This chicken recipe was inspired by our Texas travels. See how easy it is to make, it’s just 2 simple ingredients. 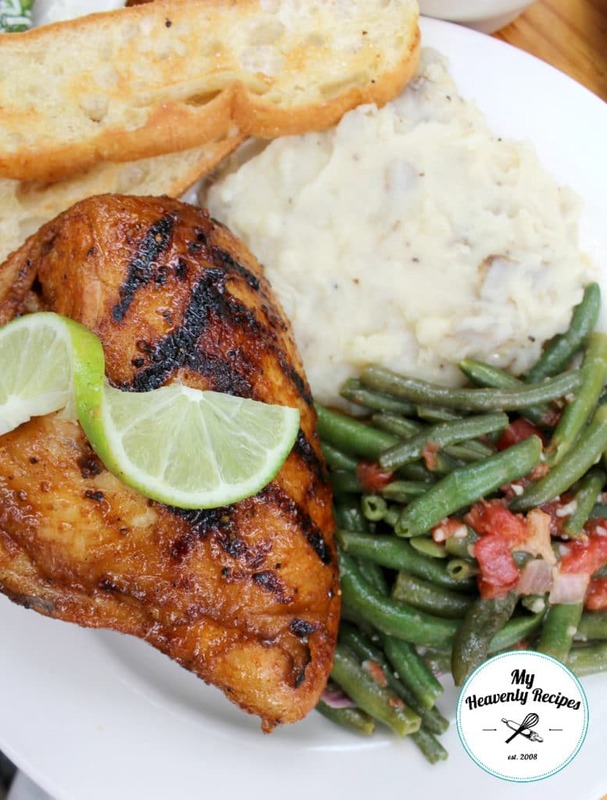 My Honey Grilled Chicken Recipe is best along side the Cold Potato Salad, Best Deviled Eggs and my personal favorite Mexican Corn Salad. 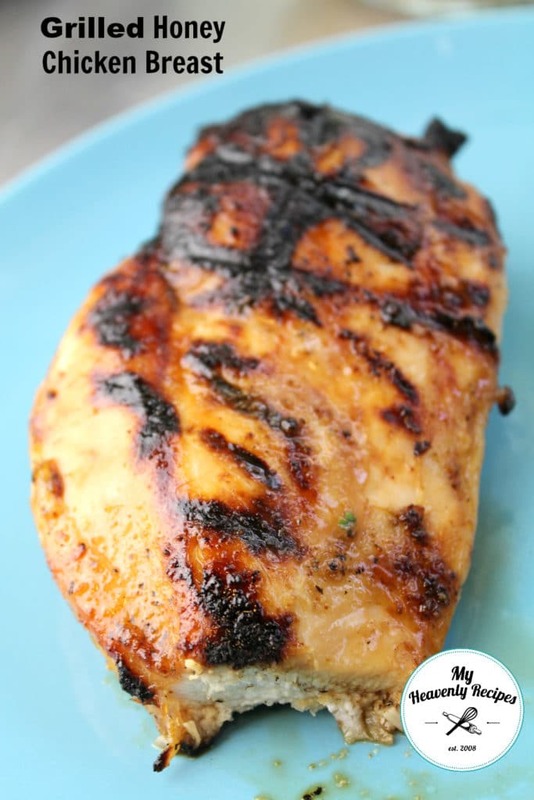 Check out my video for this Grilled Honey Chicken Breast below. It shows you just how easy it is to recreate in your own home! One thing that I hear from ya’ll is that you want simple recipes with ingredients you already have on hand. That’s exactly what you get with this Grilled Honey Chicken Breast Recipe. It’s seriously so simple you’ll wonder why you didn’t think of it previous to reading this recipe! Alright so we visited Texas during Spring Break in Early April 2017. We arrived in Austin and enjoyed our first full day on Sunday down in Gruene. It was about a 40 minute drive from our hotel and TOTALLY worth the visit. We got to check out Gruene Hall where some of the most famous country singers have performed. The locals told us that Leann Rimes had been there two weeks previous to our trip. She randomly appeared and played a free performance. Apparently that’s typical at Gruene Hall so you just never know who you may run into! Anyhow, we sat down to eat amongst the oak trees on a Sunday afternoon. The atmosphere was unlike anything I’ve ever experienced. It was quaint, breezy and once the food came, mesmerizing! 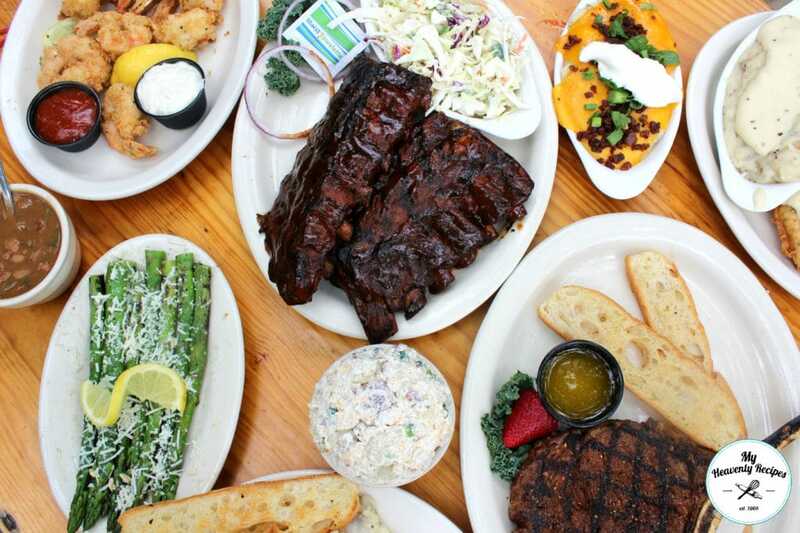 I was in Texas on “business” and told our waitress to bring us a sample of their best dishes. Well, apparently that saying “Everything is bigger in Texas” is the absolute honest to God truth! This is what we were served…. Alright ya’ll came here for the recipe, so let’s get you the best grilled chicken recipe, shall we? 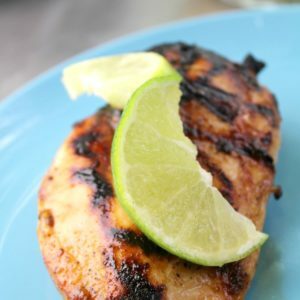 How do you make the best grilled chicken recipe? Seriously, all you do is grab a Ziploc bag (or bowl with Reynolds wrap will work too) and put all the marinade ingredients in. Mix it up and add your chicken breasts. Let it sit in the refrigerator and marinate for a minimum of 2 hours. I recommend over night! Heat up your grill, ensuring the grill is clean and your grates are coated properly to ensure the chicken breasts don’t stick. Sprinkle the chicken with your favorite steak seasoning and place the chicken breasts on a hot grill and let cook on both sides, 3-4 minutes (may take longer if you have thicker chicken breasts). Once the chicken has cooked through and has those beautiful grill marks from the sugar in the honey crystallizing, remove from the grill and allow to rest for 2-3 minutes before cutting! Ziploc Bags – I like to do the gallon sized freezer bags. They are made from a thicker material so I know it won’t leak! 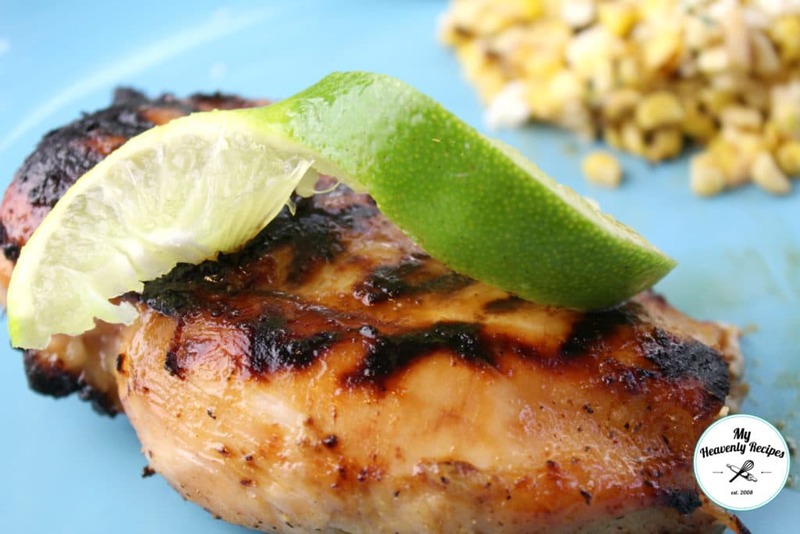 This Grilled Honey Chicken Breast recipe was inspired by the Gristmill Restaurant in Gruene, Texas. Give it a try. It's to die for and makes for a perfect party food! In a large ziploc bag place chicken breast, olive oil and honey. Mix until incorporated and marinate in the refrigerator over night. Place on a hot grill, sprinkle with steak seasoning and cook through.